The company behind the launch of a special gin to commemorate the Viola trawler has won its race against time to have bottles on the shelves by Christmas. 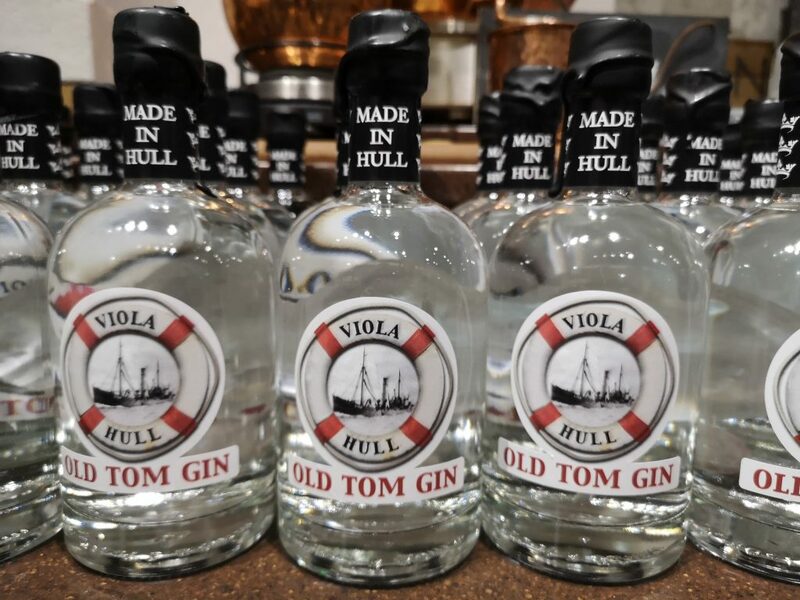 The firm is also fulfilling orders internationally with Hull-based businesses moving quickly to snap up the first batch of Viola gin to send as Christmas gifts to maritime industry contacts around the globe. Paul Escreet, Chairman of SMS Towage Ltd and Chair of the Viola Trustees, said: “Hotham’s have done a fantastic job because it was nearly November before we got them on board, tasted the gins they put forward and made our selection. “It is very much an artisan business with handcrafted gin and labels and the personal attention of the owners every step of the way. We are delighted that they managed to make the gin available for Christmas and we were more than happy to place the first orders. The Viola, built in Beverley in 1906, operated from Humber Dock – now Hull Marina – as part of the Hellyer fleet of boxing trawlers. She was requisitioned to defend the UK in the Great War and left Hull for the last time in 1918 on a career which took her to Norway, Africa and Argentina, catching fish, hunting whales and elephant seals and supporting expeditions in the South Atlantic. She now sits on a beach in Grytviken, South Georgia and the trustees are working to bring her back to Hull. 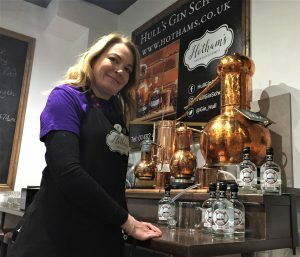 Emma Kinton used the new still at Hotham’s Distillery – named Viola – to make the gin and her partner, Simon Pownall, designed a label which carries the Viola lifebelt logo as well as the map co-ordinates for the distillery and the Viola’s current location. Every bottle also has its own batch and bottle number. Emma said: “We’re so pleased to be working with the Viola Trust to create something unique to help with the campaign. The gin has already generated a lot of interest and we have some good ideas to build on that in the New Year. Emma Kinton of Hotham’s in the distillery. Be the first to comment on "Distillery delivers for Christmas as Viola gin goes global"